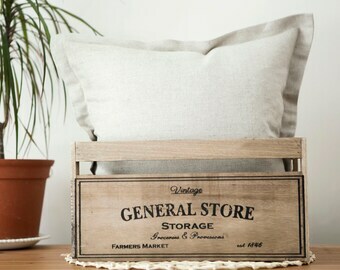 Grain sack pillow for farmhouse decor. 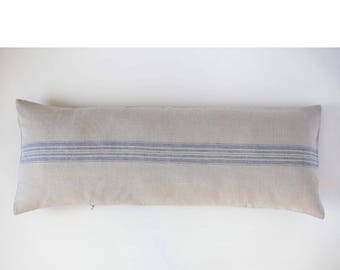 Decorative pillow with blue striping. 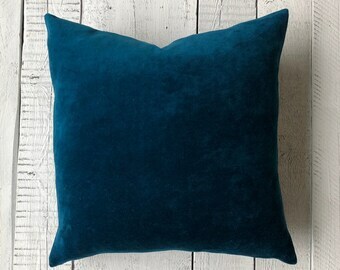 Pillow may be sewn in custom size. 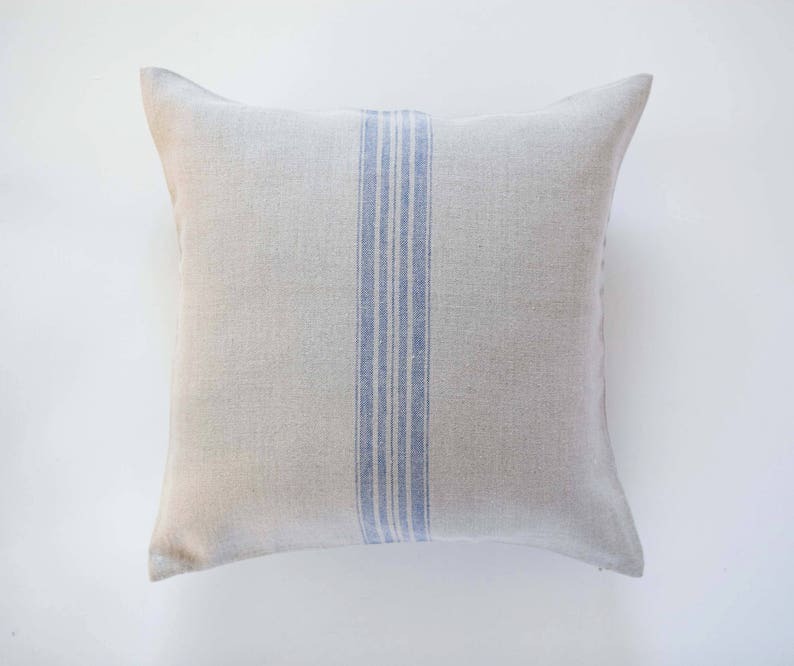 Blue stripes - french style accent. 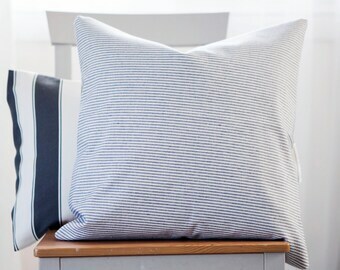 This blue striped farmhouse style pillow cover. Use it vertical or horizontal for different impression. 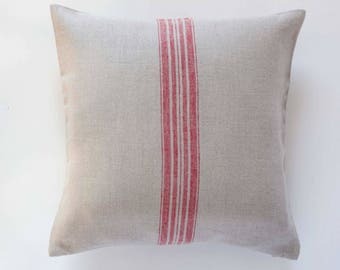 Stripes on both sides of pillow. 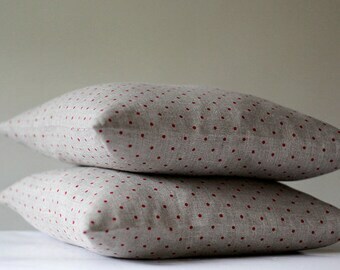 All inseams in this item are finished to prevent fraying. 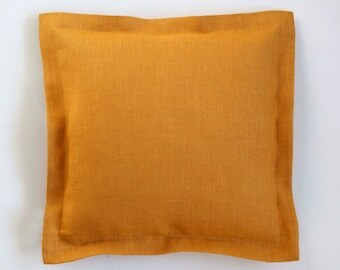 I offer pillows covers for your room from natural materials: linen, cotton. 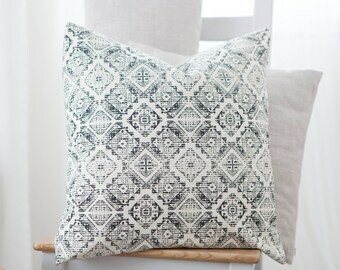 I am looking for new fabrics often , so be sure to come back to my shop periodically. 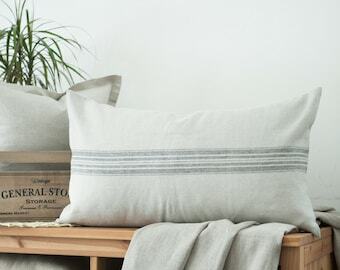 Linen is environment friendly fabric. 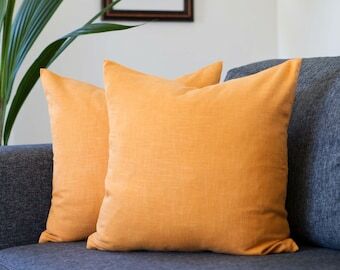 After each washing the fabric becomes softer and less wrinkly . Linen fabric you may iron on the back side. 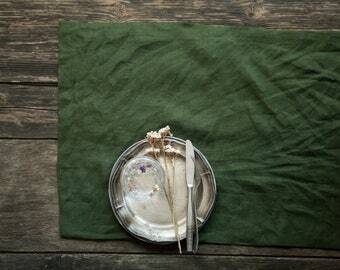 Linen cloth over the years getting softer. Flax fiber gets wet and dries very fast. You may use air dry. But if need may tumble dry as well. 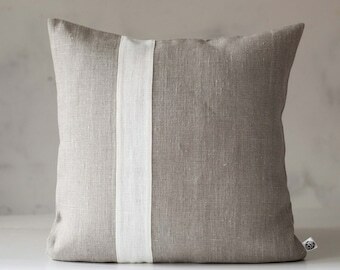 Linen fabric resistant to static electricity. Creates comfortable micro climate. Linen fabrics are 3 times stronger and 5 times more resistant to abrasion than cotton. It better than cotton absorbs moisture and perspiration . 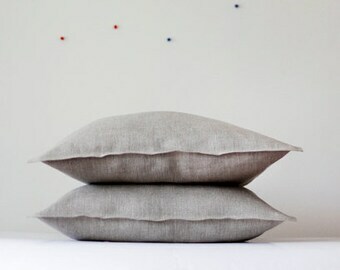 Linen fabric - organic. It is completely waste-free product, to environment and ecology do not cause any harmful effects.